Do you ever question the meaning of the phrase “settle down”? Kelly and Marshall did. Today these two full-time RVing nomads put their old lives behind them for an endless adventure on the open road and a website for camp addicts that they can run from anywhere. Not content to put up with the flying cockroaches, humidity, and hurricanes that inundate her home state of Florida, Kelly Beasley, age 44, hit the road nearly four years ago with her two dogs Gizmo and Trixie. She sold her house and the contents inside it to buy a truck and trailer. Soon she was on the road discovering the joys of dry camping throughout the country. 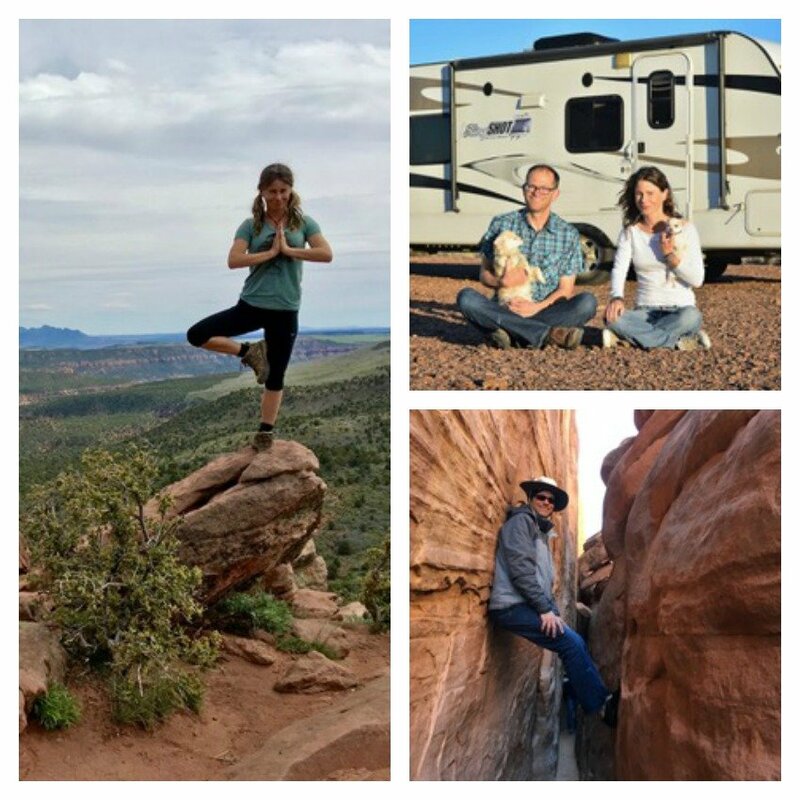 It’s not always easy being a solo woman RVer but the benefits far outweigh the drawbacks, she says. She discovered the joys of dry camping far from civilization and shares them in an article she wrote called The Hold-Your-Hand Guide To Boondocking Without Fear. News and media only show us the worst of what goes on in the world. They lead us to believe that without the supposed ‘security net’ of society, we are vulnerable to some sort of attack . . . Is it safe to be out on public land all alone? HELL YES. It’s way safer than living in a city! Or the suburbs, even. Why? Because if you’re scared of other people, just know this: Criminals are lazy. They don’t drive out to BLM land looking for a target. Her business and traveling partner Marshall Wendler, age 45, discovered the joys of being a nomad around the same time she did. Since his early twenties, he longed to leave a traditional life behind but it wasn’t until he was widowed in his forties that his nomadic lifestyle became a reality. “After I was widowed I decided that if I didn’t become a nomad at this point in life, I might never do it,” he says. With nearly three years of full-timing behind him, he’s made a few discoveries about himself. “I’m just not programmed to be happy leading a sedentary lifestyle, spending all my time in one place. The draw to explore the world is too strong for me,” he says. Kelly and Marshall met through a mutual friend who could see they had much in common. Both worked online and both wanted to remain self-employed on the road. He had the technical skills to grow the back-end of a website, she has the creative touch for the front end. 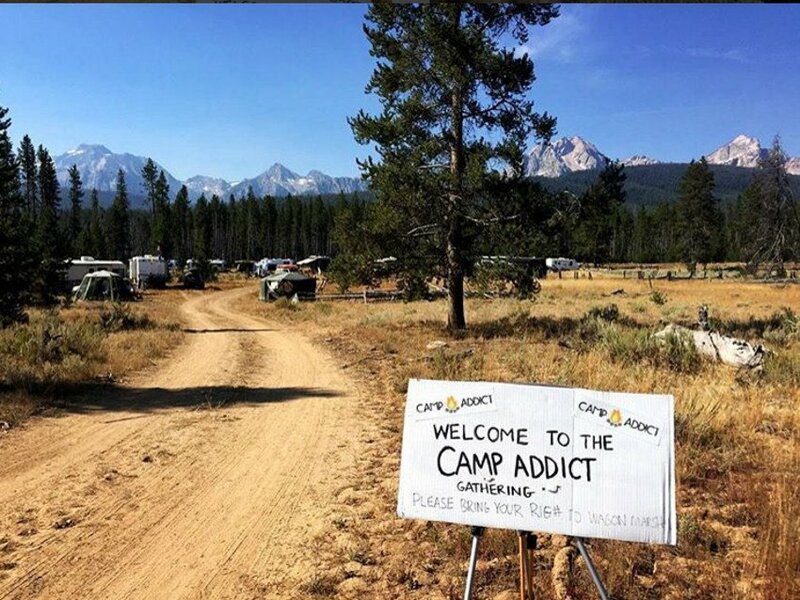 Today their second business endeavor, CampAddict.com, is only a couple of years old but already a hit with campers and RVers. Each day they pour their heart into growing high-quality content from wherever they happen to be camped. They roam the country as friends and business partners with no plans to stop anytime soon. Very inspiring story to a person who is interested in starting this lifestyle. Nice story. My wife and sold everything this summer and I hit the road last month. .Enjoying the journey so far…..
Where did you leave from? Where are you now & where do you plan to travel?